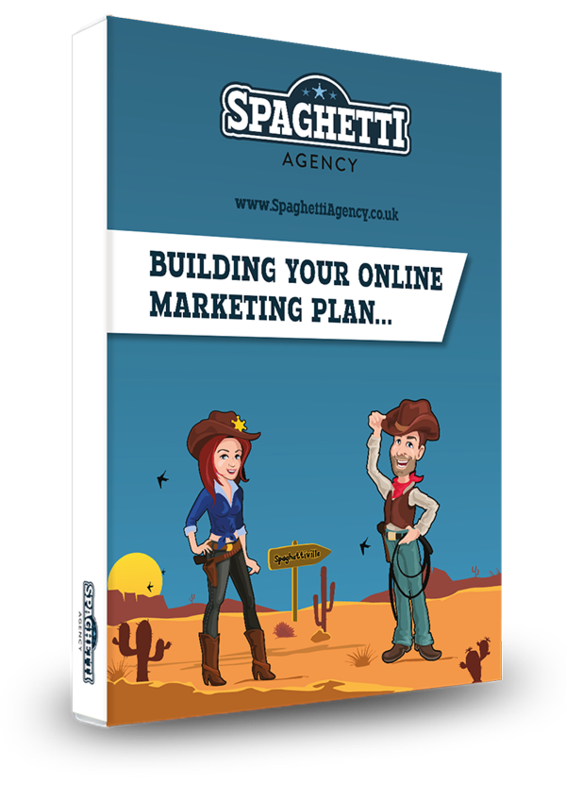 Social media is an online channel and that means it’s digital! It’s digital which means it has data. But the problem is: People are tracking the wrong data and that’s giving the wrong focus for social media ROI (Return On Investment). 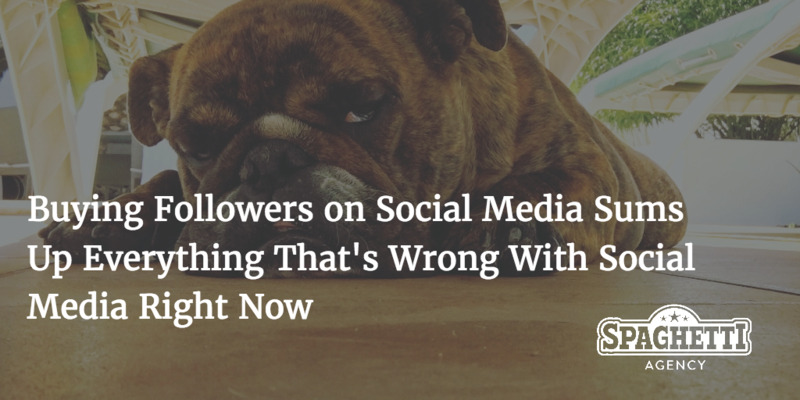 It’s easy to think that more followers means better social media. Everything’s going well, right? More followers and fans DO NOT mean your social media is working for you. This sums up everything that’s wrong with social right now. Buy 1000 followers for $10! Did you know it’s as easy and cheap as that? Wow, that’s some metrics right there. 1,000 followers is a lot of followers and if you’ve built them up for real then you’re going to get some great comments, shares and interaction from those. But when was the last time you liked an Instagram account, followed a Twitter account or started seeing posts from a Facebook page because someone asked you to do it? When did you ever like a Page or follow a Twitter account without actually wanting to? So who the heck is liking and following these social media accounts who you pay a few dollars for? They’re not just fake accounts – they’re vanity metric indicators! Because if you buy followers and fans them then you’re clearly more bothered about how many people ‘see’ your content than how many interact with it. These fake accounts are created and used in click farms, which use low paid workers, often in developing countries, to generate numbers. 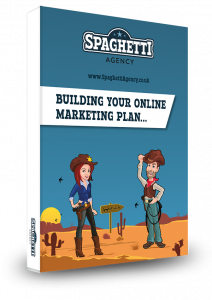 … And that’s what’s wrong with buying social media fans and followers – IT’S NOT REAL! It’s not about how many potentially see it, how many follow your story, or how possible your reach is. Social media has ALWAYS been about the conversations you have. You’ll have no conversations with fake fans or followers. It’ll just make your metrics look good to those who don’t know better. Stop chasing clicks and metrics and start chasing conversation. EVERYTHING in business starts from a little conversation; fake fans give none of that! That’s what’s wrong with social media… Businesses are all in to for what they can get from it and not for what they can give to it. Give and then receive… It’s something we’ve been taught about people since childhood and social media is all about people – it’s just humans taking to humans. … start worrying about how you’ll make people talk or how you’ll make them notice you. That’s what social media for business is good for! Create content that people want to read, talk about, and share. And talk to people you’re genuinely interested in. 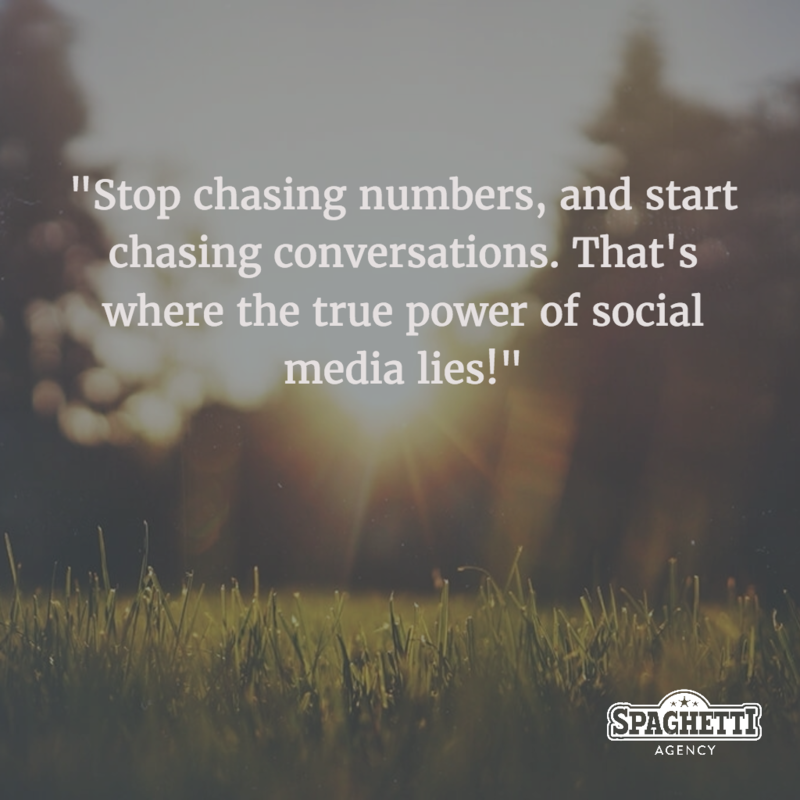 Stop chasing numbers, and start chasing conversations – that’s where the true power of social media lies! What do you think? Do numbers matter? Do they matter to you? Do you think someone is more believable or more authoritative if they have a bigger following? Let me know in the comments. Thanks, John. Vanity is certainly not something that brings home to bacon! An interesting read. I was nodding my head all the way through your points. As you said , buying followers will only visually make an account look popular, but in reality there is nobody there behind the followers, apart from some trigger happy people who get paid to click all day. Adding to the process, some businesses also sets up continuous auto Tweets, meaning that nobody is at home from either end, making this a pointless set up. SEO or Marketeer stamped all over their profile, I always find it disappointing when I trustingly follow someone back that appears to have the same marketing interests as me, to then find that I have been unfollowed along with hundreds of others, realising it was just part of a game of seeing how many followers they can build, as they continuously hit the eject button (even on very genuine followers). They then repeat the same process over and over again, so much so that I have been followed and unfollowed several times by the same people. I take a once bitten, twice shy approach 🙂 You have to laugh, as they are achieving nothing in the end! I’ve been followed and unfollowed too. I do use a tool to follow people to gain more of a following but I on;y follow people who I would find interesting. Otherwise, what’s the point? Gaining a large following IS important to get your content out there but if they don’t care about you then they won’t read it. You have to take an interest in others before they take an interest in you. Look at Gary Vaynerchuck. He STILL replies to lots of comments and cares about his fans and followers. It’s important even when you’re that big!